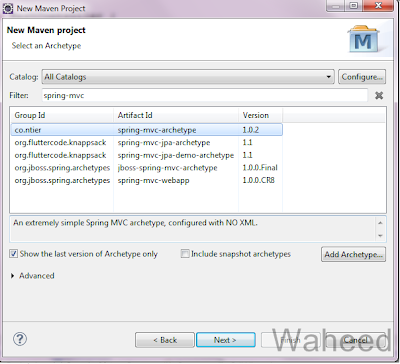 This blog will show you how quickly you can create a Spring MVC project and get it up and running, using the Maven archetype called spring-mvc-archetype. Note: First You should verify that the Maven Integration for FTP is already installed in your eclipse, If not first installed and then create a new project. 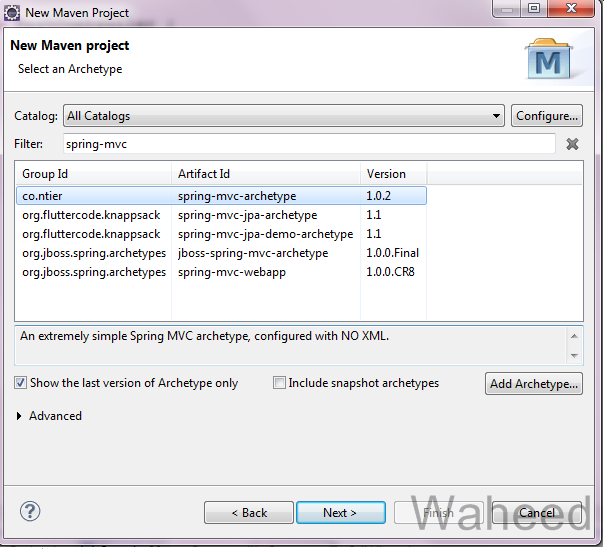 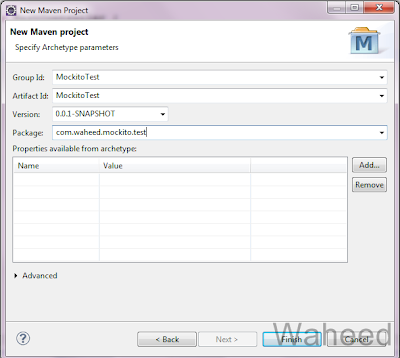 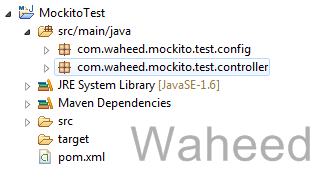 Select Maven > Maven Project and click Next.